Asking what I love about knitting is a bit like asking why I love my kids – it’s something I just know, not something I’ve thought about very much. Knitting can be perfectly simple and incredibly complex. It’s quick to learn but takes a long time to master. Knitting is both relaxing and frustrating (but not at the same time). It is done by yourself, yet can be very social. You can do it on a tight budget and also spend a fortune. It’s art and science, both creative and mathematical. Knitting is ‘trendy’ and traditional. For me, ‘knitting’ is much more than a series of interlinked loops which make a fabric. It’s sitting at my Nanna’s knee, and the sound of her needles. It’s the jumpers my mother made for school, and the thing I attempted to knit for my ‘baby sister’. It’s my daughter’s first ballet cardigan, and my son’s hand knit socks. Yes, my love of knitting is about so much more than the projects on my needles and the yarn in my stash. How about you? Click on the image to explore Sarah’s gorgeous patterns! Above, from left to right: Leaf Collector’s mitts, the Enormous Triangle Ponshawl and the Quick Knit Lace Cowl. 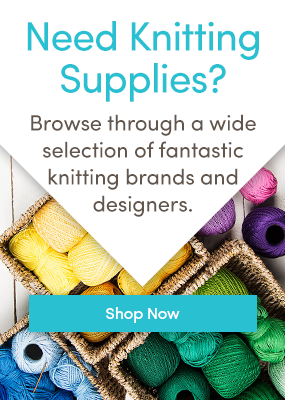 Love knitting? Follow us on Bloglovin’ and don’t miss a post! Last updated: February 11th, 2016.